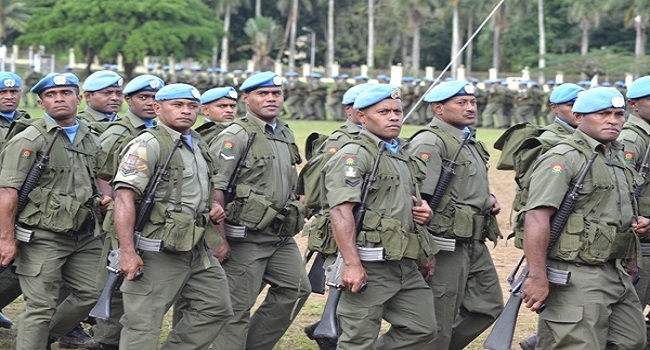 Fiji has requested the UN’s Department of Peacekeeping Operations to consider increasing Fiji’s troop numbers in Syria and Lebanon given the new Bushmaster vehicle capabilities that we have. Defence Minister Ratu Inoke Kubuabola made the request at the UN’s Headquarters in New York while discussing Fiji’s peacekeeping agendas. He says Fiji has been actively involved in peacekeeping since 1978. The Minister has given his assurance to the UN Under-Secretary Generals that Fiji remains committed to world peace by providing troops and equipment and capabilities such as the Bushmasters for service in global hotspots around the world. The Minister requested if the UN’s Discussions could also include Fiji’s consideration for future increases in Police and Corrections participation in UN missions in South Sudan and UNMID (Darfur). Kubuabola met with three UN SG’s and made a commitment for the deployment of the Fiji’s Formed Police Unit to any UN Mission from 2018-2019 including correctional officers. The Minister travels to Rome next, to call on the Director General of the Multi-National Force and Observer Mission where he will discuss critical issues pertaining to Fiji’s troops in the Sinai Peninsula.